One of the high-performance thermoplastics that AIP works with is ULTEM: a PEI, or polyetherimide. 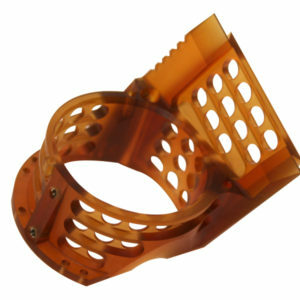 ULTEM was developed by General Electric Plastics Division (Now SABIC) back in the early 1980s. Polyetherimide (PEI) is an amorphous, amber-to-transparent thermoplastic. Among other uses, ULTEM is popularly used in medical instrument components, aircraft interiors, missile and defense-related components, electrical insulation parts, and semiconductor equipment components. 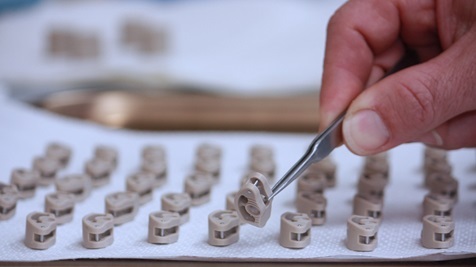 AIP has over 35 years of experience machining complex components from ULTEM and various other thermoplastic materials. We are providing this Machining ULTEM as yet another insightful technical brief about our polymer component manufacturing process, and how it differs from that of metal machining or injection molding. Before discussing the process of machining ULTEM, it’s important to understand exactly what plastic machining is. Due to the many different kinds of polymers and composites, it’s important to have strong technical expertise of polymer materials when machining plastic components; some plastics are brittle, for example, while others cut similarly to metal. The challenge of plastics is their wide range of mechanical and thermal properties which result in varying behavior when machined. Therefore, it’s important to understand the polymer structure and properties of ULTEM if you’re machining it. ULTEM is considered an amorphous, high-performance thermoplastic. 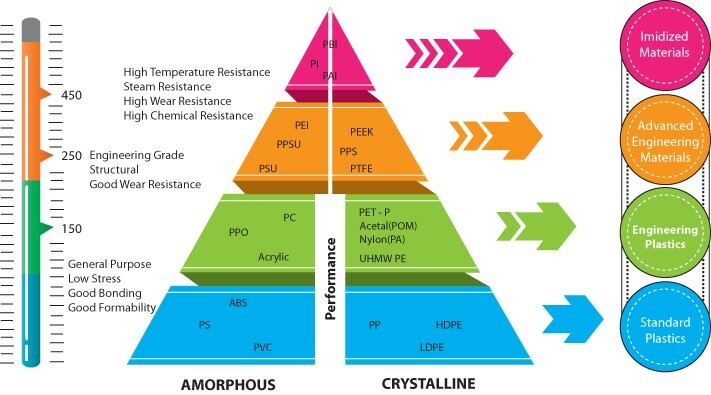 Most amorphous polymers are thermoform capable, translucent and easily bonded with adhesives or solvents. ULTEM PEI (polyetherimide) is a high-strength amorphous polymer. PEI has more than just excellent heat and flame resistance. It can perform continuously up to 340°F thanks to its high flammability rating. That’s not all, though: this polymer is also hydrolysis resistant and highly acid-resistant. ULTEM PEI also outperforms both Nylon and DELRIN with the highest dielectric properties of thermoplastic materials. While ULTEM is relatively chemical resistant relative to lower end amorphous polymers, you will need to carefully assess the chemical compatibility for the application. This material is also more notch sensitive than RADEL PPSU. There’s more than one particular type of ULTEM PEI you can machine, and each has slightly different properties for perfecting this material’s use in different applications. ULTEM 1000 is an unfilled grade of ULTEM PEI. This is considered the “virgin” or “neat” grade of the resin… this basically means no-fillers. It’s well suited to interior aircraft components thanks to its impressive flame resistance and limited oxygen index. Its resistance to UV and gamma radiation and low NBS smoke evolution, low thermal conductivity, and ability to retain 85% of its tensile strength at 10,000 hours of immersion in boiling water make it useful for a variety of structural food processing components. ULTEM 1000 is also FDA, USDA, and NSF-compliant, as well as USP Class VI-compliant. ULTEM 2300 is a 30% glass-reinforced grade of ULTEM PEI. This gives the high-performance polymer greater tensile strength and rigidity than ULTEM 1000, plus greater dimensional stability, meaning less movement with temperature or load changes. 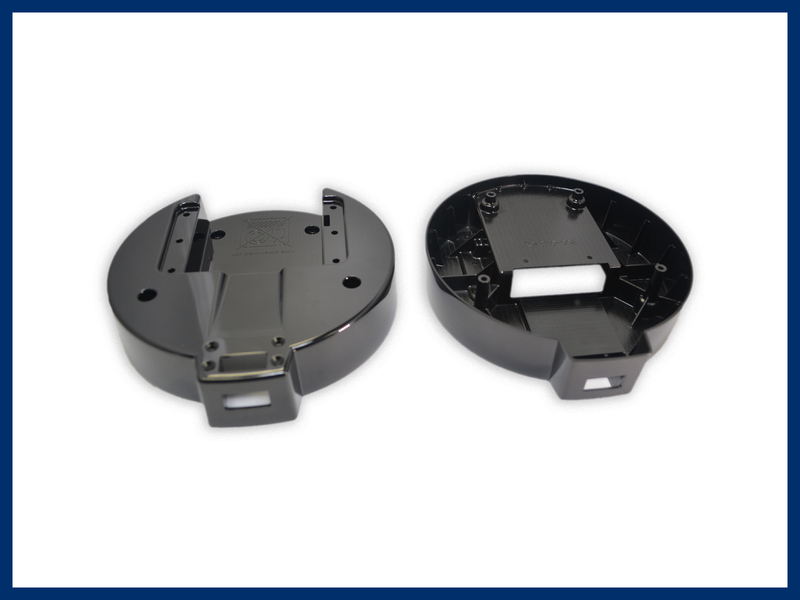 It possesses low thermal conductivity and excellent electrical insulation properties. Additionally, it reacts well to autoclave sterilizations, making it useful for reusable medical applications where repeated cycles are required. ULTEM 2300 is commonly used for structural components where light weight is valuable such as found in many aerospace and defense-related components. ULTEM 2300 is a common direct replacement for aluminum as it has a similar coefficient of thermal expansion to 6061-T6. ULTEM can be received in the form of rods, sheets, tube or film. Stress-relieving before machining through an annealing process is crucial, as it reduces the likelihood that surface cracks and internal stresses will occur from the heat generated. This also helps prevent any warping or distortion of your plastic materials. 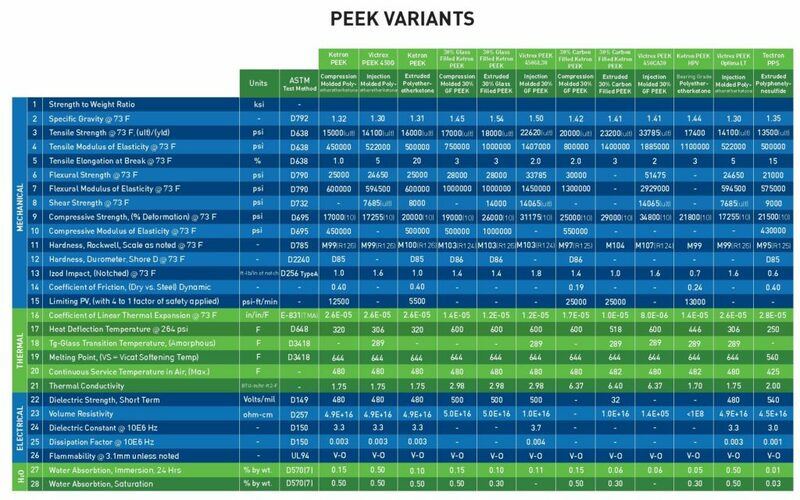 If the machine shop you are working with does not have a computer controlled annealing oven for plastics, then “head for dee hills” as they are obviously not ULTEM machining experts. Glass-reinforced ULTEM will require coolants during drilling operations, as they are especially notch sensitive. Non-aromatic, water soluble coolants are most suitable for ideal surface finishes and close tolerances. These include pressurized air and spray mists. Coolants have the additional benefit of extending tool life as well. Many metal shops use petroleum-based coolants, but these types of fluids attack ULTEM. Many past experiences have shown parts going to customer without cracks, only to develop cracks over time due to exposure to metal machine shop fluids. Be sure to use a facility like AIP who machines polymers and only polymers. Another difference between glass-reinforced ULTEM and non-filled ULTEM is that non-reinforced thermoplastics can be machined with high-speed steel cutting tools. You’ll want hard metal tools for reinforced materials. It’s no secret that cleanliness and sterilization are crucial for applications in the medical industry. Any manufacturer you hire for machining your plastic component should be aware of this, and taking actions to prevent any contamination from taking place. Here are three ways you can ensure that your medical application is being precision machined by a manufacturer committed to following strict hygienic procedures. Ensuring sterilization starts with picking the right manufacturing company, and you’ll want to be sure they take the matter of contamination seriously. To start, check their commitment to quality management and industry standards. All product manufacturing companies must follow industry standards like International Organization for Standardization (ISO) and Food and Drug Administration (FDA). Before you work with a manufacturing company for your medical application, look at their certifications. For example, ISO 13485 specifies requirements for a quality management system where a company demonstrates it can provide medical devices and related services to consistently meet customer and regulatory requirements. ISO 9001 focuses on meeting customer expectations and continually delivering satisfaction, plus reflects constant improvement from the company. If the manufacturer you are interested in using does not have any of the above standards, then you may want to ask them why. 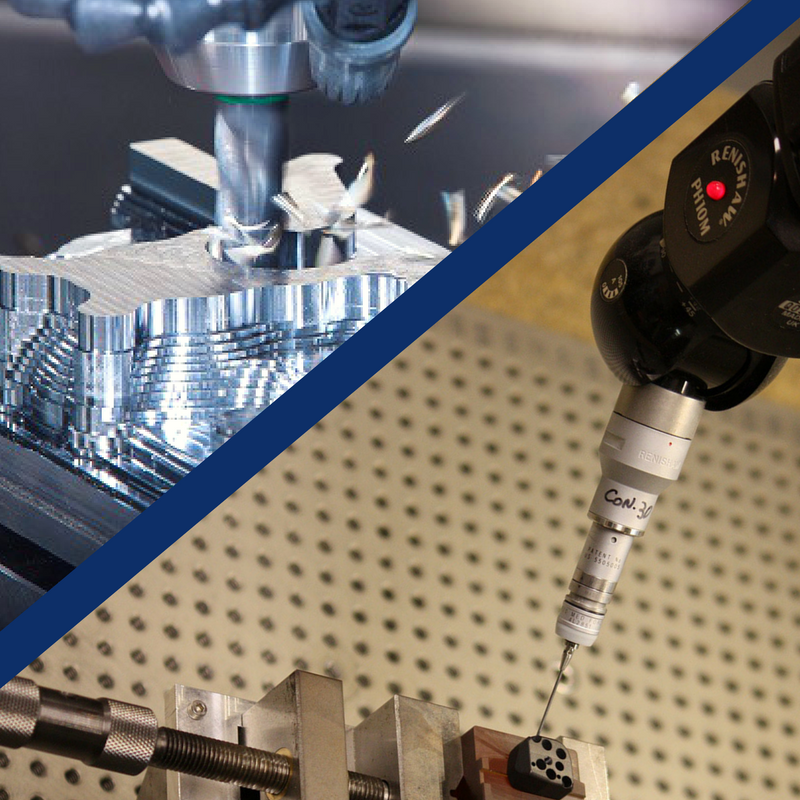 Here at AIP Precision Machining, we have been successfully audited by some of the most stringent OEMs in the orthopedic and medical device industries, and are ISO 13485:2016., ISO 9001:2015 , and FDA registered. Be wary of any manufacturer who machines both plastics and metals in the same facility. The tiniest sliver of metal embedded in a plastic part can have widespread ramifications, such as an unexpected electrical problem in the medical device. 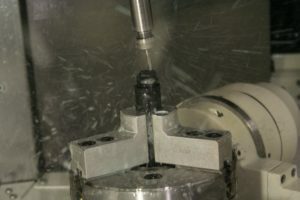 Additionally, it’s common for metal machining companies to use oil-based cutting fluids. Any equipment that machines metal, then, can contaminate your plastic parts with those fluids. Many plastic materials are especially sensitive to those petroleum-based liquids, and they can degrade when in contact with them; others are hydroscopic and will absorb the oils. It should be noted that plastic parts manufactured using equipment that machines metal parts will not meet FDA-approval, or the other industry standards mentioned above. The safest way to avoid this is to hire a plastics expert, not a metal machining company. AIP takes the matter of sterilization seriously, and ensures the highest level of sanitation down to the sub-molecular level for its products. By designing, stress relieving and machining only plastics, AIP significantly reduces the threat of metallic cross contamination and therefore allows for the highest hygienic products possible. The most important factor to take into account overall is experience. Your supplier should be familiar with the types of polymers and composites you need machined, and should additionally know the best machining process for your application. For the medical industry, you want to know that your manufacturer is experienced with the complex needs of your applications. For example, if your components are going to come into contact with body tissue or fluids, then they must be biocompatible per ISO 10993. Which is to say: If you’re machining implants, your plastics will require different needs than if you’re machining reusable surgical instruments. Both require, however, careful attention to detail. A surgical instrument must be designed with sterilization compatibility for regular cycles in mind, while an implant requires biocompatibility to be safe for use. Be sure that your manufacturer is familiar with the processes that come with your application, and check that they’ve done it before. With 35+ years of experience, AIP is well acquainted with precision machining for the medical industry and guarantees careful material selection and processing for your medical applications. The #1 Best Way to Avoid Contamination? Overall, the best thing you can do to avoid contamination is to hire a plastic manufacturer with the experience and the credentials to complete your project to the highest standards of quality possible. Keeping the above three factors in mind will help you do just that. To ask about AIP Precision Machining’s capabilities for precision machining medical applications, please contact us.